all selected to showcase their style and talent in different residential rooms. This year, landscape designers Michael and Lori Anthony of 1 Design Group and Jeremy Stanulis of J. Stanulis Architects were given the privilege of designing the outdoor space in the DreamHome. With a little help from Lightology, they were able to create a relaxing outdoor retreat that leaves us all yearning for our own open-air haven. What is your inspiration/vision for the space? The theme this year is ‘Modern’, and we wanted to show off how warm a modern space can be — no matter the size. We wanted to push the envelope and maximize the space for functionality while remaining visually appealing. How does the lighting that you chose solve problems and/or enhance the space? Lighting is such an important element in any size landscape and should not be overlooked. 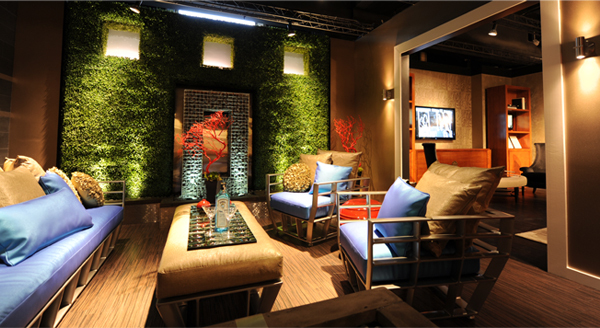 In our landscape, the lighting brings the boxwood to life and sets the mood in the space. It is enchanting, and invites people to relax and have a good time. What is your overall design philosophy and how are you expressing that in the DreamHome? Our goal is to first listen carefully to our clients: our challenge is to evolve their wants and needs into their purest expression. In the DreamHome, we expressed our modern design style within the theme, while bringing in the different design elements that can be utilized in your exterior space. Michael and Lori’s outdoor retreat feels inviting and warm due to the many layers of light they created using a variety of products from Lightology. The Alpine produces bi-directional light for a soft glow. 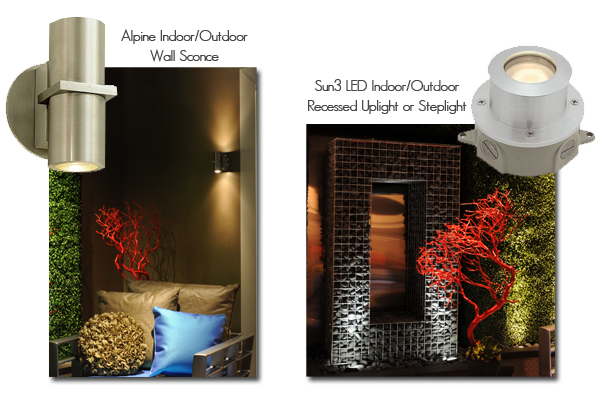 The Sun3 LED is a 10 watt, award-winning recessed light that they used as an uplight to show off the boxwood and stone wall. Find out more about the 2011 DreamHome and see 1 Design Group’s landscape for yourself! Lightology is nothing short of glorious! Awesome products and GREAT customer service.